If you purchase the product at a â€˜Buyout price' it guarantees that you are the last person to buy this template from us. It means that this Business Bureau WordPress design may have been sold before a couple of times (see â€˜Downloads' number in item's properties) but only you and people who bought the template before you will own it. After this kind of purchase the template is being permanently removed from our sales directory and is never available to other customers again. The buyout purchase license allows you to develop the unlimited number of projects based on this template, but the template should be customized differently for every project. 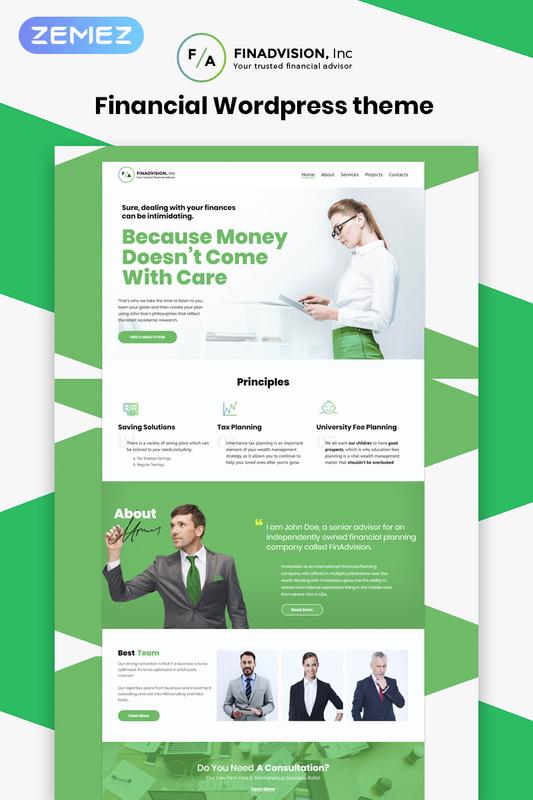 If you purchase the product at a â€˜Unique price' it guarantees that you are the first and the last person to buy this Small Business WP theme from us. It means that this template has not been sold before and you become an owner of a unique design. After this kind of purchase the template is being permanently removed from our sales directory and is never available to other customers again. The unique purchase license allows you to develop the unlimited number of projects based on this template, but the template should be customized differently for every project. I really enjoyed setting up this theme for my client. The interface is easy to work with and the options for modifying it are countless. I also like the design a lot since it is well-combined with the color scheme but at the same time responsive as well. 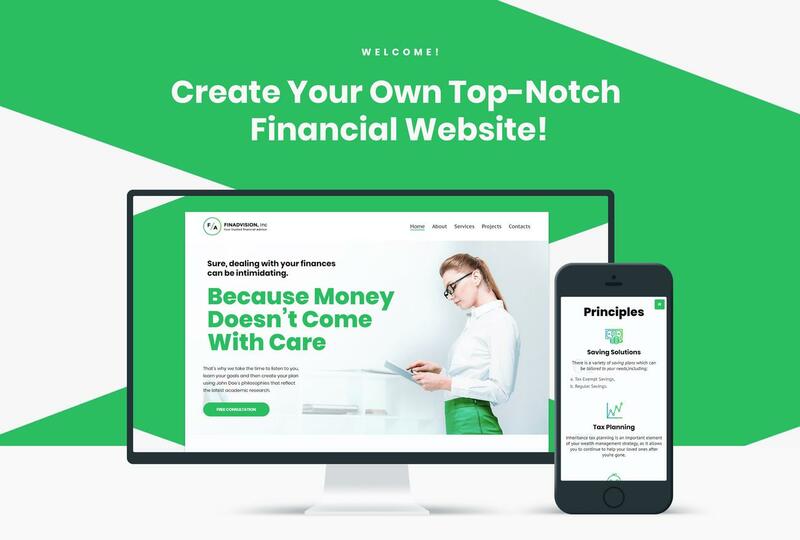 All in all, whoever purchase this theme it is going to serve you really well, no matter if you are a financial advisor, lawyer or freelance conusulating. Highly recommended! 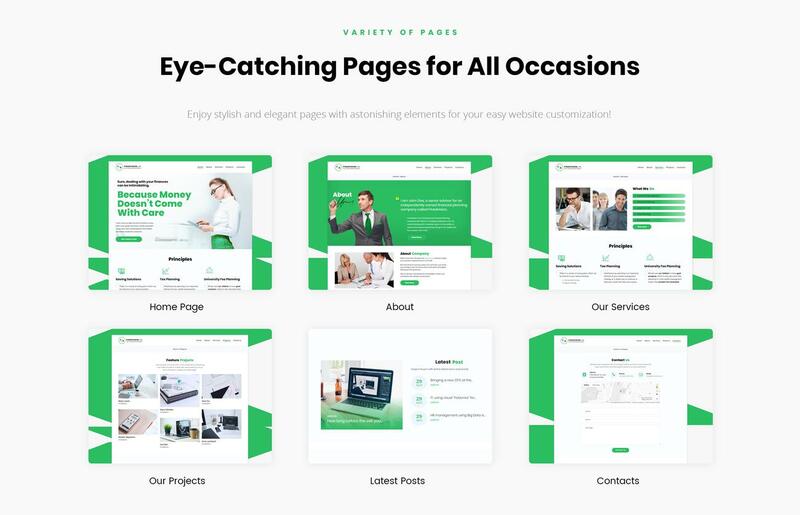 Because it is using the Cherry Framework, this template is much more complex to edit than most wordpress themes that is not using the same framework. For instance, if you would like to add a section, it is easier to create a wordpress plugin from scratch than to edit the child theme, unlike other themes. However, if you are not looking to edit the code of the template yourself to fit your needs (i.e. it already fits your themes without many changes), it is a great theme. Note that it may be difficult to use for those of you who are new to WordPress. I purchased this site by mistake .... we don&#039;t do Wordpress ... and contacted support about my error. They promptly handled my problem, issued a credit and ordered the correct site for me. Their sites are good, but their customer service is outstanding and that trumps creativity in my book. We host and maintain more than 150 sites and Template Monster has become our design department. The best decision I ever made. It&#039;s been a great service, really helpful and I started working with the theme. It&#039;s pretty useful and I love it. Help me to grow my site 200% in one week. Beautiful theme and really scalable and easy to change all the settings and adjust it to my company. Great!! A good theme for someone who knows what they are doing, but I think a novice would have a hard time changing things. I am also not too crazy about the Cherry shortcodes. I think there are plugins that work easier and less clunky. However, I do really like the design work. It is much more interesting than many of the templates that you find these days. It does have a scrolling home page with large sections that attract your attention, but it doesn&#039;t go over the top with moving parts. Sometimes keeping it simpler is better. I&rsquo;m a web developer and this theme was perfect for a client of mine. I love the strong images, colours and the simple layout. I&rsquo;ve used this for a recruitment and HR company who focus on personal service and once we adjusted it, it suits there brand perfectly. This template has a TON of options and spots to add custom information. Also since it&#039;s Wordpress based it&#039;s extremely easy to move/add/remove content. I did have a questions regarding a custom placement in the theme and the folks at Template Monster was able to answer it right away. Thanks! Is the main color theme of green be changed to a different color? I&amp;#x27;m looking for blue, but like this template.